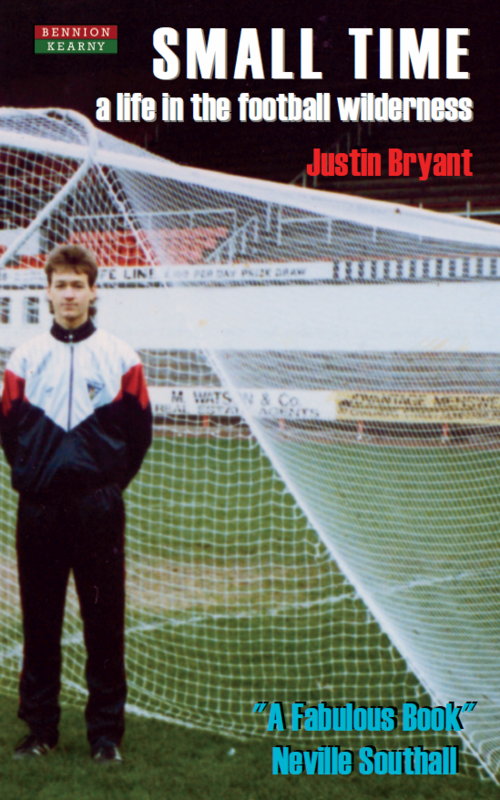 In 1988, 23-year-old American goalkeeper Justin Bryant thought a glorious career in professional football awaited him. He had just saved two penalties for his American club – the Orlando Lions – against Scotland’s Dunfermline Athletic, to help claim the first piece of silverware in their history. He was young, strong, healthy, and confident. But professional football, he found, is rarely easy. Small Time is the story of a life spent mostly in the backwaters of the game. As Justin negotiated the Non-League pitches of the Vauxhall-Opel League, and the many failed professional leagues of the U.S. in the 1980s and 90s, he struggled not only with his game, but his physical and mental health. Battling stress, social anxiety, a mysterious stomach ailment, and simple bad luck, he nonetheless experienced fleeting moments of triumph that no amount of money can buy. Football, he learned, is 95% blood, sweat, and tears; but if you love it enough, the other 5% makes up for it. Justin Bryant was born in Melbourne, Florida, in 1966. He graduated from Elon University with a Bachelor’s degree in English and from New York University with a Master of Fine Arts Degree in Creative Writing. He is the author of the novel ‘Season Of Ash’ (ENC Press, 2004). His short fiction has appeared in numerous journals, and he has written about football for XI Quarterly and The Howler. As a goalkeeper, he played for clubs on both sides of the Atlantic. He is a qualified goalkeeper coach and is currently Director of Goalkeeping at NC State University. He lives in Raleigh, North Carolina, with his dog Blake, an American pit bull terrier. Book Categories: Biography, People, Soccer and Soccer Biography.